Serving Nevada since 1998. Providing greater depth and detail than the typical real property inspection. Looking for a quality and affordable home inspection? Our “Advanced Scope Inspection™” means that we review more components and provide greater depth and detail than the typical real property inspection. This means we offer our clients more useful and meaningful information that will allow them to make intelligent, informed decisions to better protect themselves. 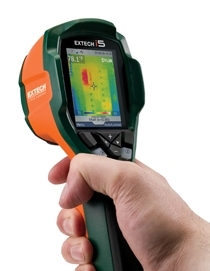 We have recently added thermographic imaging equipment to our arsenal allowing us to discover issues that most other inspectors just can’t see and won’t find. 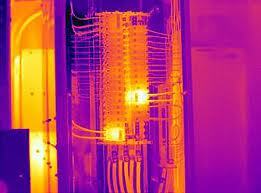 We do not charge an additional fee for using our thermal imaging equipment. A description of the issue or problem. An accurate description of the location of the problem or issue. Discussion about the ramifications of the problem or issue. A course of action or path of resolution for addressing the problem or issue. Every finding has at least one associated photograph; many findings have multiple photographs (see our example report), and since our job is to ensure the client has a full understanding of the property condition, we also include disclosures about the positive features of the home. The home is fully profiled telling the client everything from what kind of roof is installed to where the water heater is located and its capacity. When a client retains our service, they also obtain a level of commitment that is unsurpassed in our industry. If nee ded, we restore water service to the home, de-winterize the home, light water heaters, and light fireplace and furnace pilot lights. We fully traverse all accessible roofing and attic areas. We never review only a “representative number” of issues like most Las Vegas home inspections. We review all accessible components. If the seller performs repairs to issues disclosed in our report, we will come back to the home to review the work and make sure it was repaired properly. There truly is no inspection in all of Southern Nevada that is more comprehensive. We invite you to join thousands of our satisfied customers and clients and experience a level of quality and personalized service that is unparalleled in the Las Vegas home inspection community.